We are offering 10 places for N8 AgriFood Doctoral researchers to participate in an international food systems training week in Ghana in June! As part of our strategic partnership and engagement, N8 AgriFood, is working with IFSTAL to organise a unique international Food Systems Summer School at the University of Ghana from 16th – 21st June, 2019. 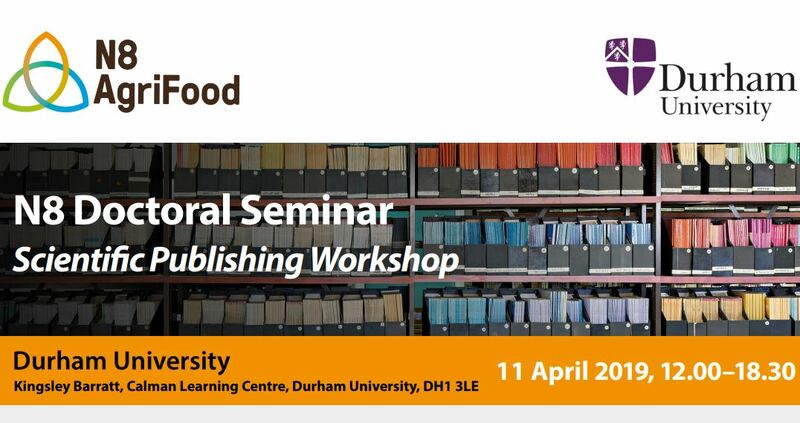 PhD Students across the N8 universities are invited to learn about the world of scientific publishing in the latest of N8 AgriFood’s Doctoral Training Seminar Series. On Thursday 11th April, Durham University will host a series of talks, a workshop, a panel discussion and networking opportunities a part of its seminar, which features editorial speakers from two high impact factor ranked journals; New Phytologist and Cell Reports.